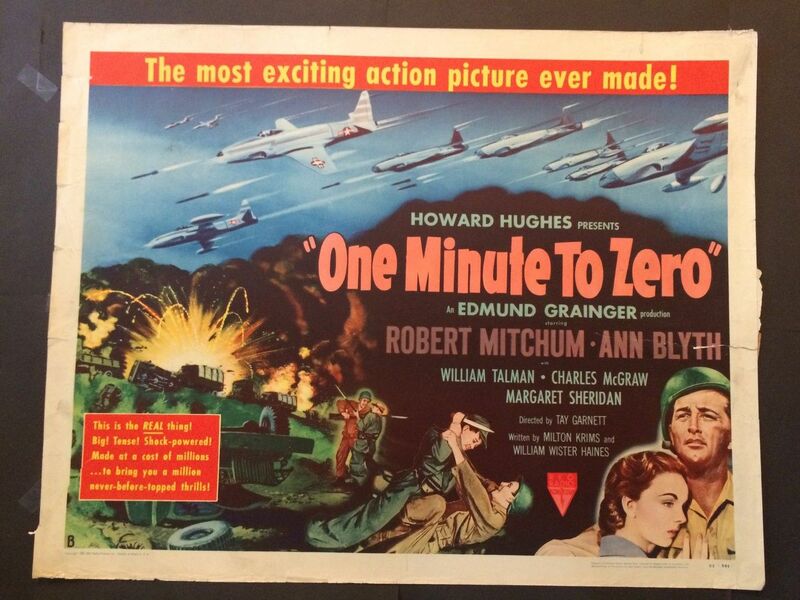 One Minute to Zero (RKO Radio Pictures,1951) US Half Sheet 22"x28" Style B. 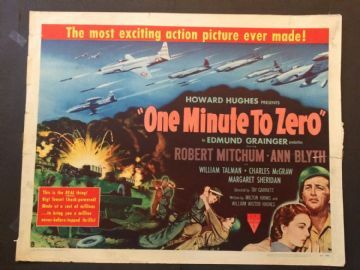 During the early days of the Korean War, U.S. Army colonel Steve Janowski (Robert Mitchum) is one of the military advisers training the South Korean army and he's tasked with evacuating American civilians from the war zone. Also starring Ann Blyth. The poster had edge tears on both sides which were repaired. In my opinion a simple paper-backing would do wonders for this half sheet It has never been folded Displays well.